Life Insurance gives you wonderful peace of mind. Should you die early, your debts and mortgage will be paid in full, ensuring your your loved ones are free from painful financial burdens. Health Insurance can provide great peace of mind, as well as with comprehensive inpatient cover, outpatient benefits and a range of lifestyle benefits. Get the best and most complete business insurance cover tailored to your businesses needs and circumstances. Ensures that your mortgage, household bills and living expenses are paid whenever you are unable to work due to accident, disability or illness. Protects your and your family in the event of receiving compulsory redundancy, or be unable to work due to accident or illness. A pension is an easy and tax-efficient way of saving for your retirement, providing that you get good advice. 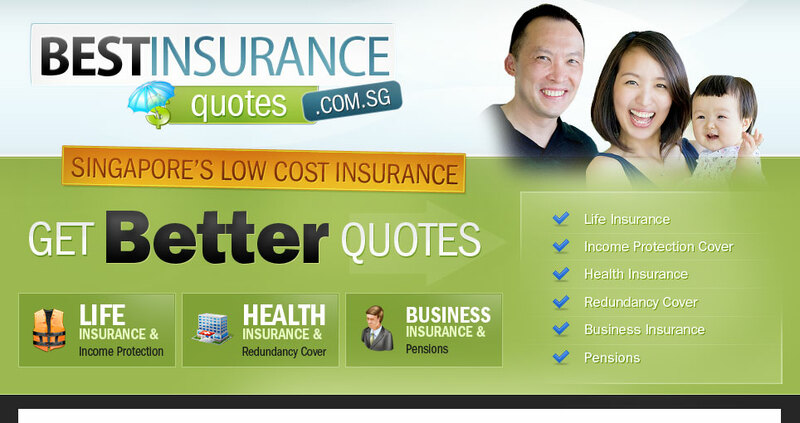 BetterInsuranceQuotes.com.sg gives you access to a network of insurance advisers who are all registered with the Monetary Authority of Singapore.